I am working today and I am writing this during my break on the inpatient unit. My mother is a woman who marches to her own beat. Working in mental health, I can safely say that mothering is a sensitive area for many people and emotionally complex. For me, mothering is about nurturing, comforting and caring for other living beings. Every one is a mother, with or without biological children. Wishing everyone a beautiful, caring and nurturing day! I hope you had just such a day! Thanks Mom! The feeling is mutual. If I am only half the mother that you are, I will be doing great! Very touching message and beautifully written. Stay blessed always! Carol. Thank you so much for your kind words. Happy Mother’s Day to you! Thank you Carol and wish you the same. Happy Mother’s Day, to such a nurturing mother. Thank you so much! And to you! Great message! Happy Mother’s Day to you too! Happy Mother’s Day to you. I am blessed to have had a wonderful loving mother; not all are (I too work in Mental Health). Blessings to your family. Happy Mother’s Day to you too!My mother is very funky and cool. She is more avant guard than me. So true! Everyone who cares for and nurtures someone else is a mother…. Happy Mother’s Day…and thank you for the work that you do. I loved your post on Mother’s Day. Many blessings to you and yours. This was so lovely, dear. Yes, everyone appreciates being “mothered” especially while sick or in the hospital. You are a kind and open-hearted person to express this so sensitively! Beautifully stated. Have a very Happy and Healthy Mother’s Day. 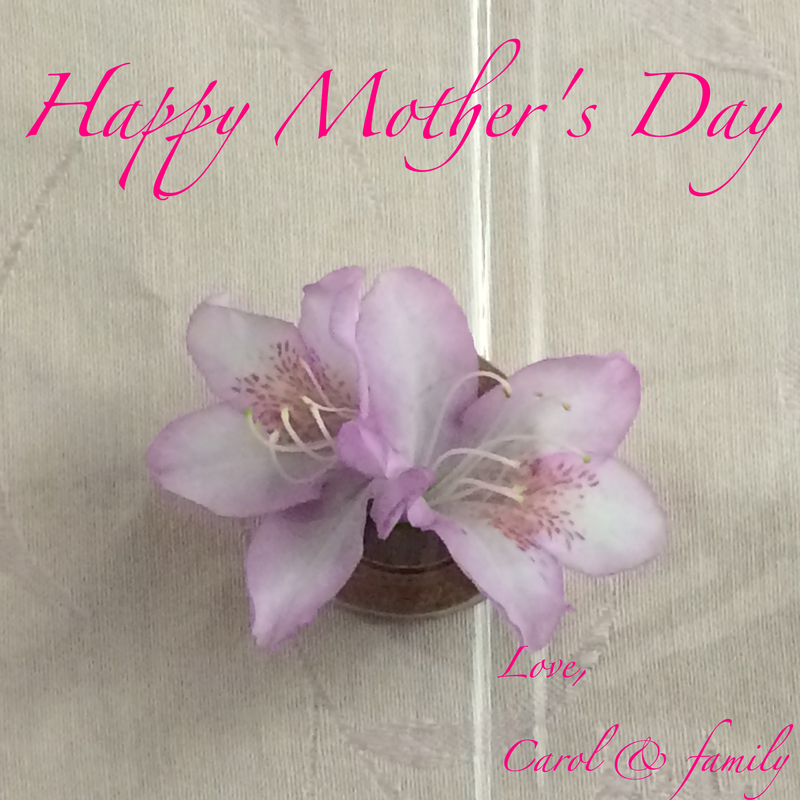 I like “every day is Mother’s Day!”. I should remind it myself daily!